If there’s one thing we love here at PLuGHiTz Live, it’s great audio. It was so refreshing to visit the Klipsch booth this year at CES 2017. Having been in business for 71 years, they know how to rely upon tried and true sound technology while mixing in our favorite modern features. We also love sleek, shiny new tech, however there’s something to be said for old school craftsmanship, especially when it comes to speakers. 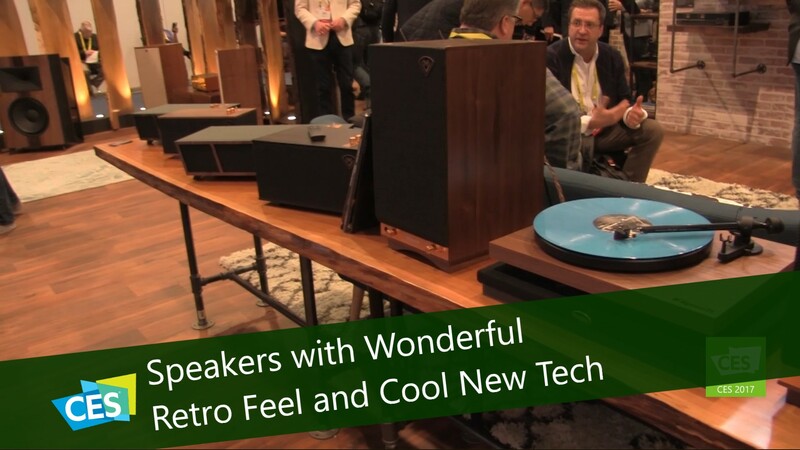 Klipsch agrees: that’s why their new Heritage line of speakers are a throwback to the 30’s, 40’s and 50’s with nice wood grain cases, legs with modern and retro stylings combined with copper spun knobs and switches. They are a real nod to history with the feel, look and touch that can blend into your home design. But they don’t just look good. You’re getting pure Klipsch sound in every speaker from a company that is famous for engineering their own drivers and horns. Even though these speakers are a great throwback to many years of listening to stereo and hi-fi systems, you don’t have to worry about missing out on hip new amenities. You’re also getting great modern features like Bluetooth, various inputs and wireless capabilities for semi portable use around the house. The Heritage line has multiple speakers in varying size and capabilities. From the newly launched Demi which is a basic, entry level model that is the perfect size to sit on a desk or table for streaming music wirelessly, to the Heritage Wireless 1, 2 and 3 that each have better sound and features than the last. Then to the more traditional looking speakers, the Heritage Wireless 6’s which are a pair of wireless speakers that are amplified with superior sound quality. Last but not least, the big boys that will debut later this year… the Heritage Wireless 15’s. They are the ultimate throwback speakers that are truly reminiscent of our old stereo system speakers, but with even more impressive specs and sound.